Fine art Scrimshander, Darrel Morris, was commissioned to carefully handcraft the art on each grip. The art of scrimshaw – engraving on bone or ivory – dates back to the 1700s. Scrimshaw works are created by punching tens of thousands of tiny holes in the surface of the ivory and filling them with black oil paint. This technique takes hours and hours of meticulous labor, but it makes it possible to achieve very delicate gradations of tone resulting in incredibly lifelike images. 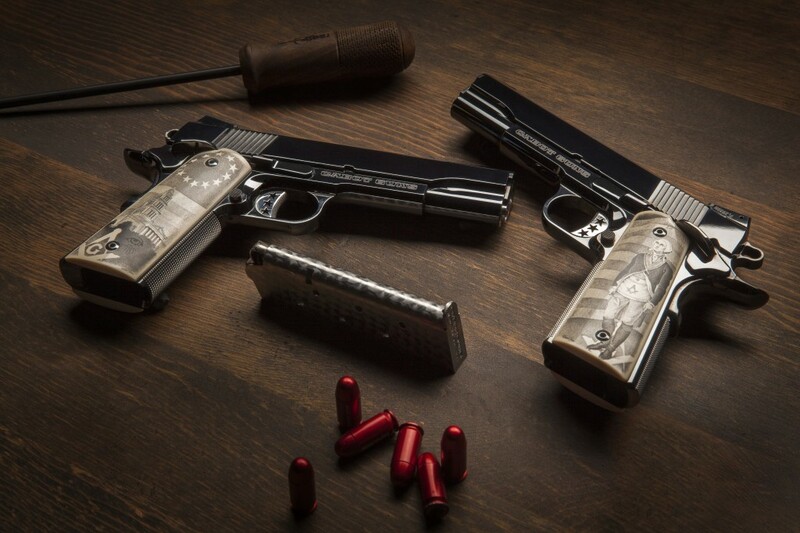 Cabot pistol sets are true mirror image pistols. 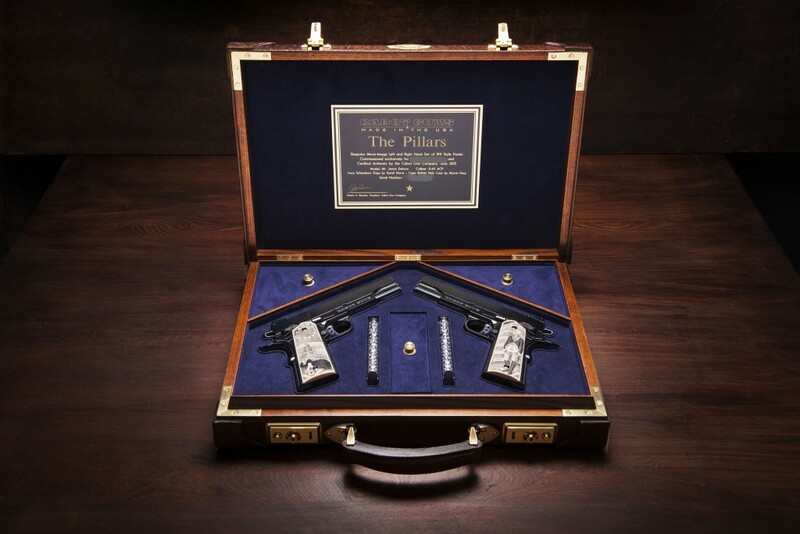 The left-handed pistol is built from the ground up from a block of billet steel; it is not a converted right-handed pistol. Not only is the ejection port engineered to the left, but all small controls have been inverted. Even the rifling in the barrel has been reversed. 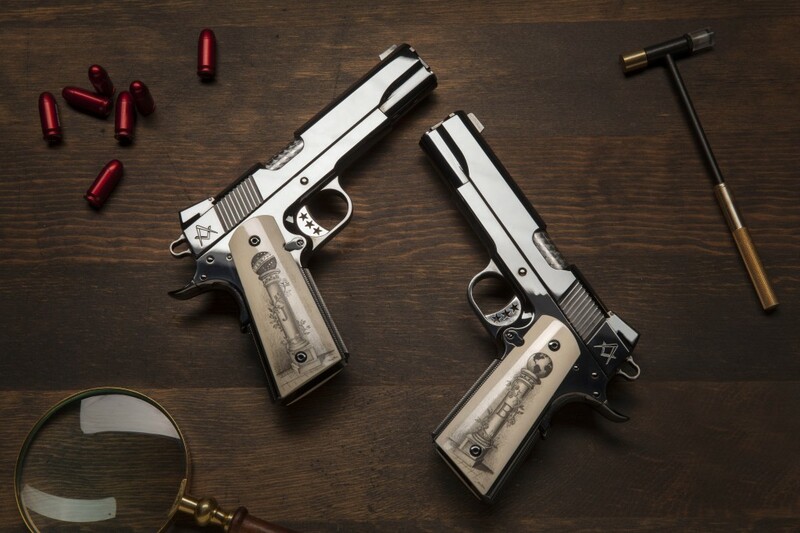 When you commission a matched set of Cabot 1911’s we pull fresh billet steel from our reserves and begin work on another pair of our master creations. 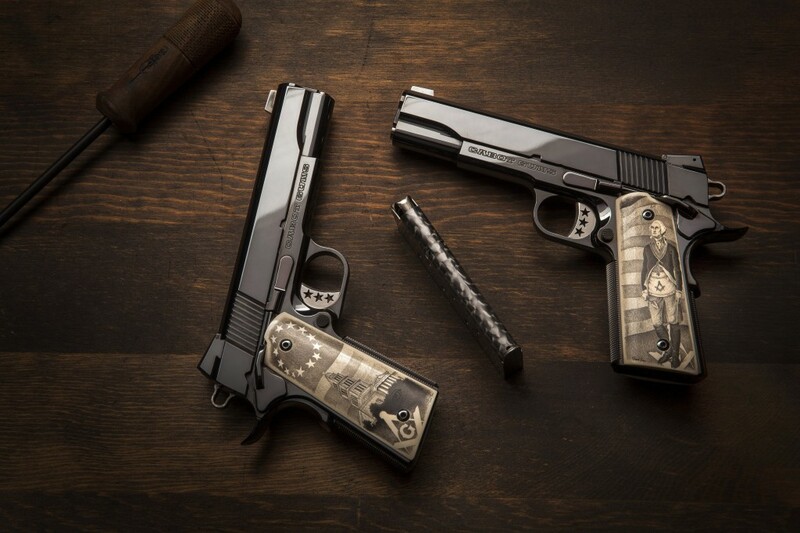 Your set is fully customizable with any client-specific engraving you may desire.